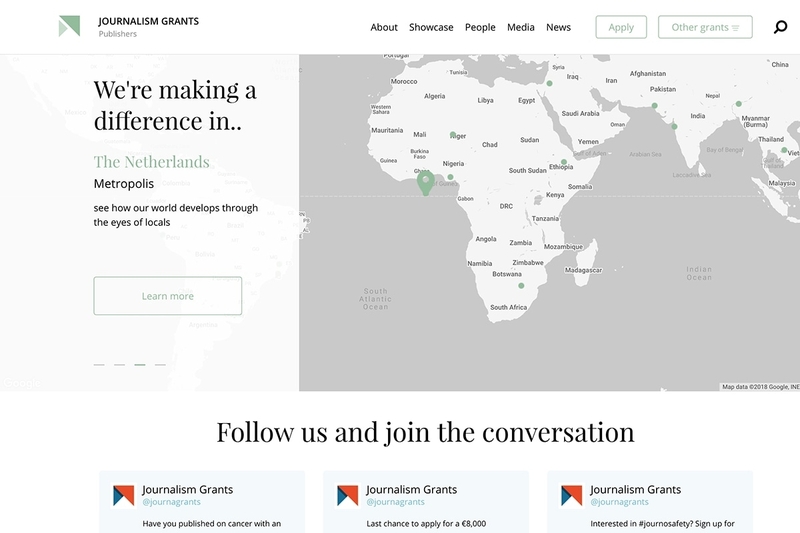 The European Journalism Centre’s grants programmes are at the centre of new forms of storytelling and journalism in Europe. Over €4m awarded to over 140 projects involving 365 grantees and 230 media partners. Our grants are not just about the money. We build skills, contacts and networks for all our grantees that create sustainable ecosystems, partnerships and careers. At a time when many media organisations face financial constraints, these grants enable funders and journalists to make a difference. Targeted at major media organisations in Europe, this grants programme is at the centre of new forms of storytelling in European journalism. 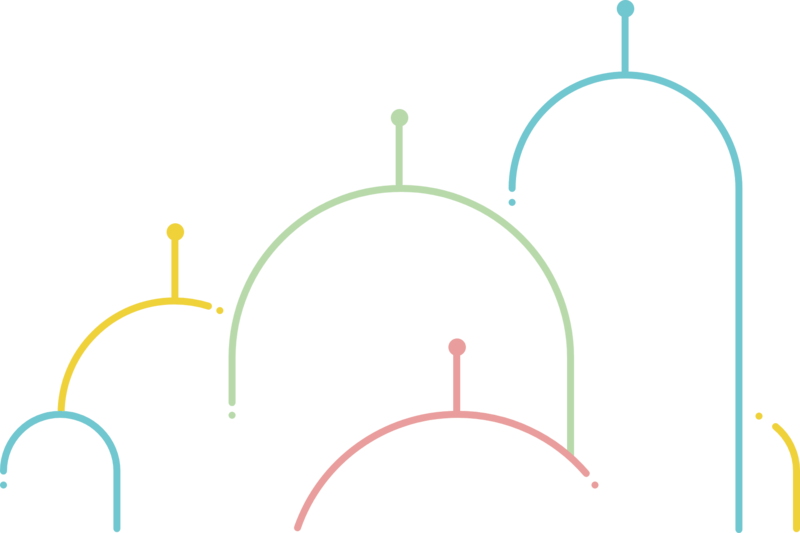 The European Publishers Longterm Reporting Grant encourages European publishers to go beyond their usual reporting approaches and set a new and distinctive agenda for development coverage. 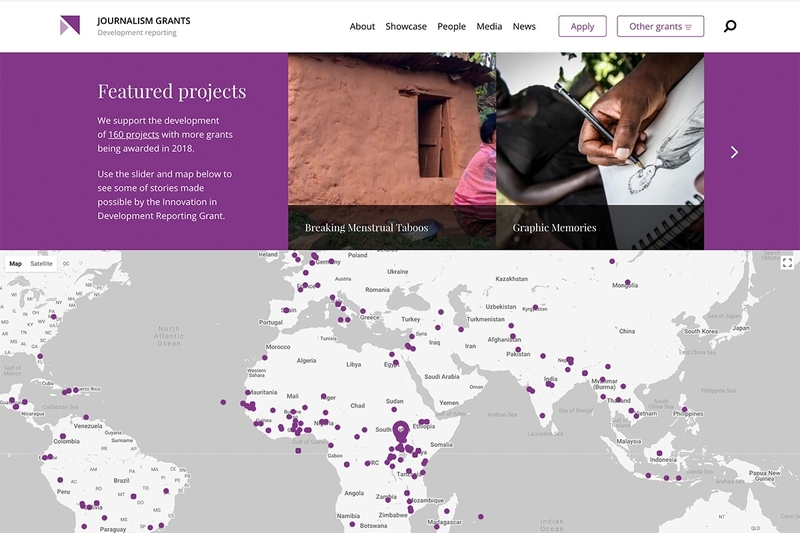 From globally-renowned media to emerging startups, grantees demonstrate an innovative and impactful approach to the storytelling topics and technology. This reporting informs communities throughout the target countries of France, Germany, the Netherlands, Sweden and the United Kingdom with data and information about global issues of employment, health, food and gender. Awarded media organisations include Spiegel Online (DE), De Correspondent (NL), Society (FR), Frankfurter Allgemeine Zeitung (DE), CNN (UK), ELLE UK (UK), De Volkskrant (NL), Dagens Nyheter (SE), VPRO (NL) and The Bureau of Investigative Journalism (UK). The coverage takes the form of a dedicated microsite or website sub-page. Innovative approaches are awarded around €100k, with an aim to support media outlets to perform thorough research and to develop new, exciting, and experimental reporting, employing state of the art presentation methods and storytelling techniques. Grants for in-depth journalistic research on global health, health policy and development related issues. 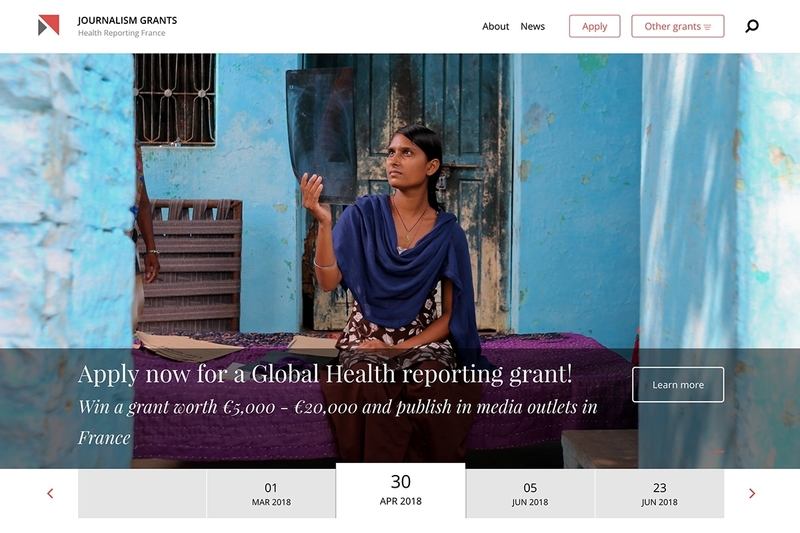 Global Health Journalism Grant for Germany aims to advance creative reporting approaches, enabling a better coverage of international health, health policy and development related issues in German media. 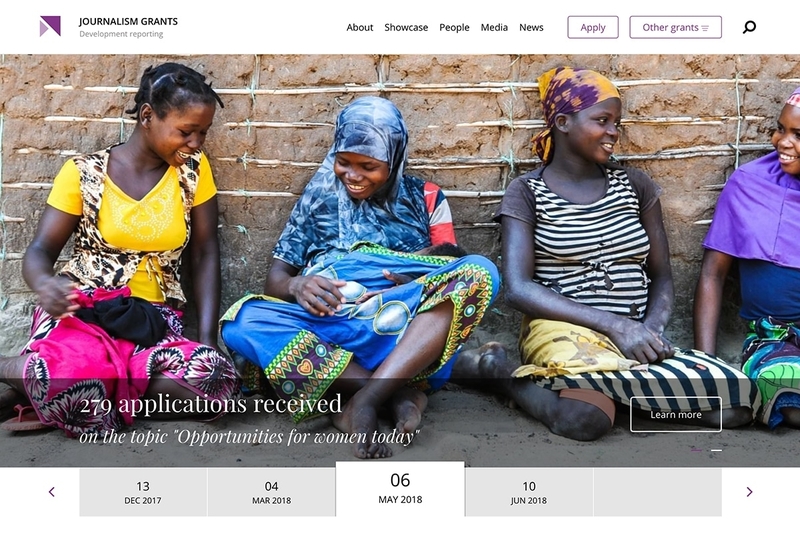 The grant intends to raise awareness about these topics in connection with German global health activities by supporting the production of stories that have a strong impact on media audiences in Germany. 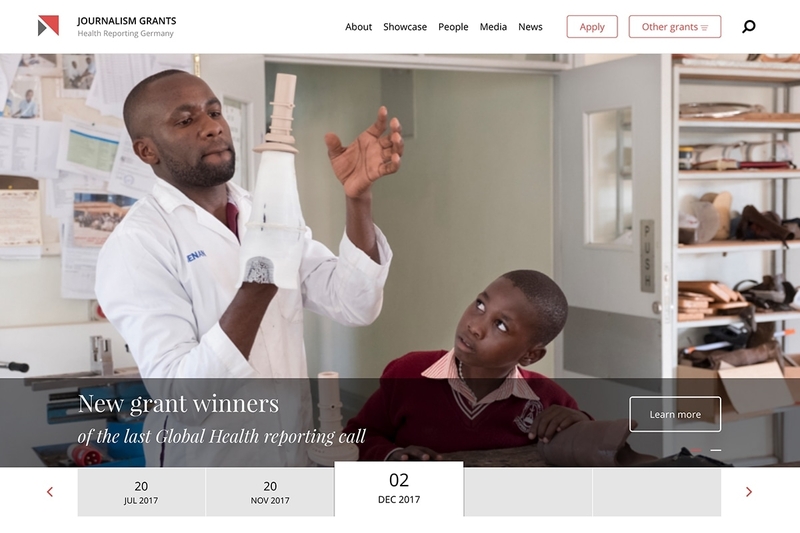 From September 2016, when the first call was launched, until November 2017, 19 journalistic projects have been funded to report on global health in major German media outlets. Winning projects have received endorsement from major media outlets in Germany such as RTL and n-tv, Geo Magazine, WDR, Die Welt and N24, Zeit Online and WIRED Germany. 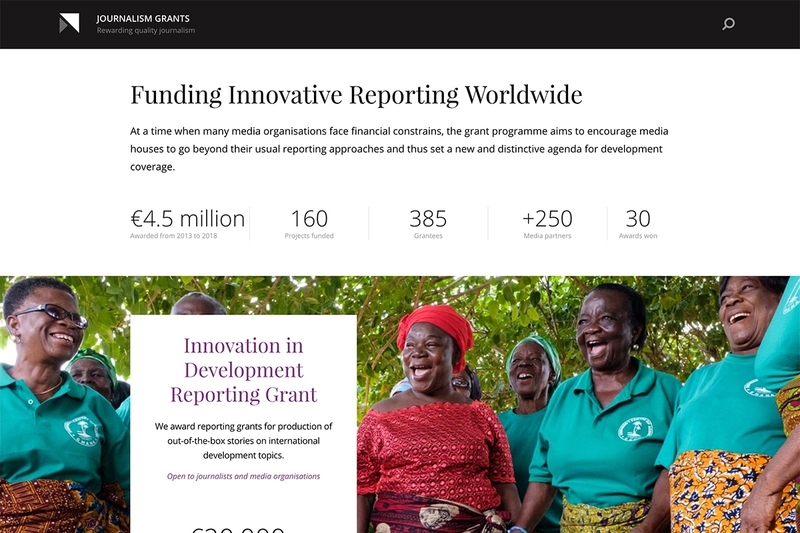 The project rewards quality journalism and advances a new and distinctive agenda for development coverage through the award of funding to a selection of state-of-the-art reporting projects of great impact and high visibility. The awarded projects address a variety of health issues in developing countries. Topics include the co-operation of European scientists with traditional healers in Africa, mental health of former child soldiers in Sierra Leone, and the fight against fake medicine in Kenya and Cameroon. The grant programme advances innovative health reporting approaches in French media. 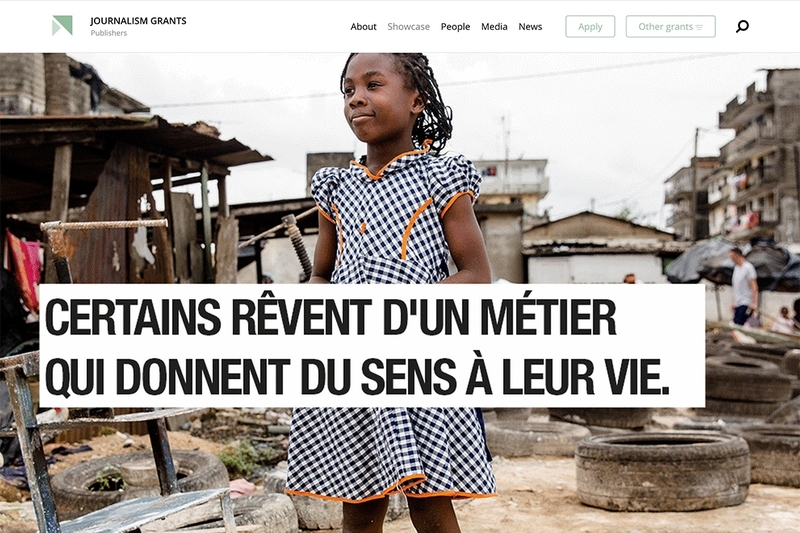 The grant programme, worth a total of €135,000, aims to advance creative reporting approaches, enabling a better coverage of international health, health policy and development related issues in French media. The European Journalism Centre will award around 10 stipends to freelance and staff journalists in the course of this programme. This project is supported by the Bill & Melinda Gates Foundation. Since 2016, the EJC has been running a similar Global Health Grant Programme for Germany, with 19 projects funded so far. 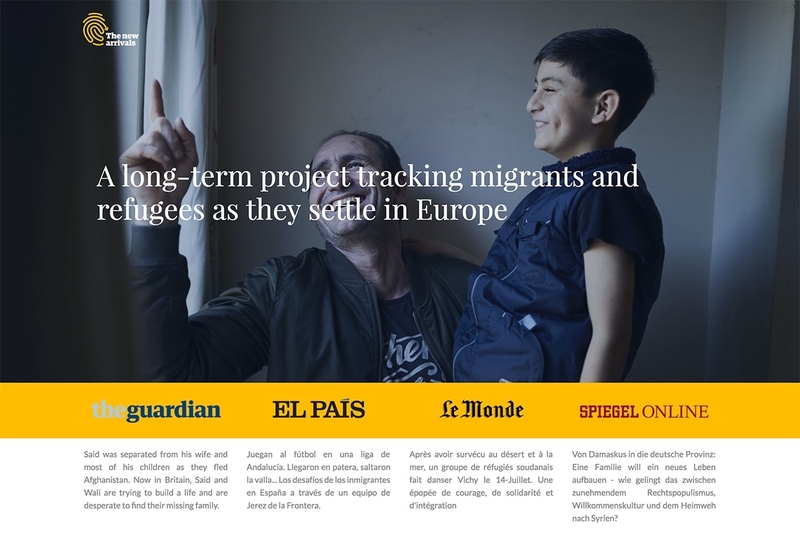 The New Arrivals is a collaborative journalism project that brings together El País (ES), The Guardian (UK), Le Monde (FR) and Spiegel Online (DE) to report on migration to Europe. Over a period of 18 months, these four media outlets have embedded themselves inside newly-arrived families and communities. 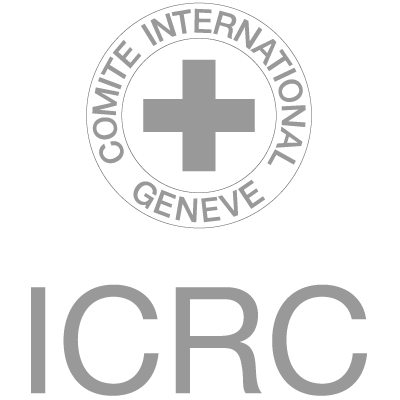 In each they illustrate their integration challenges, their humanitarian situation, their professional aspirations, and the impact of their arrival on both the host and the home countries. The European Journalism Centre, via a grant by the Bill & Melinda Gates Foundation, supports this reporting. 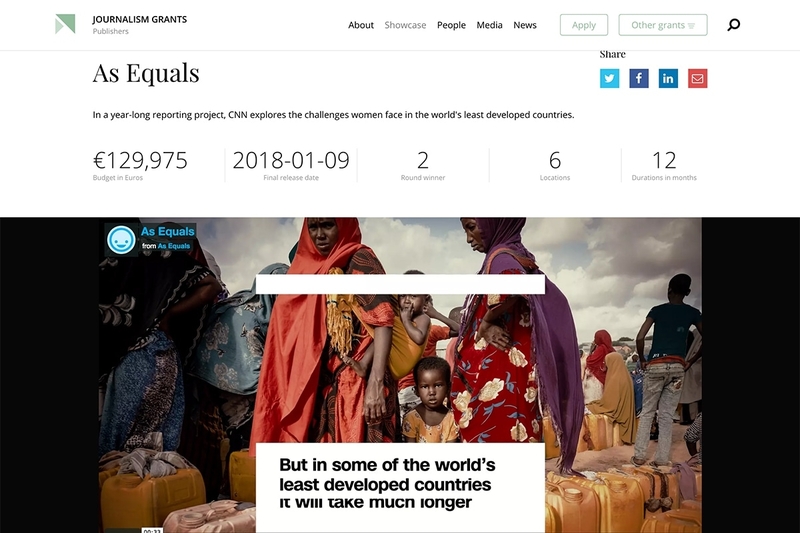 The four publishers have been using longform journalism, photography, documentaries, social video and data to tell their stories. Facebook Live and Snapchat have been used to drive engagement with new demographics in new ways. In additional to the original reporting, the four media outlets have translated and contributed to each other’s articles, studying and comparing different scenarios for migrants and refugees within the four countries. Supported by the News Integrity Initiative at CUNY Graduate School of Journalism, the Engaged Journalism Accelerator is a €2m fund, coaching, resources and events programme for European news organisations. 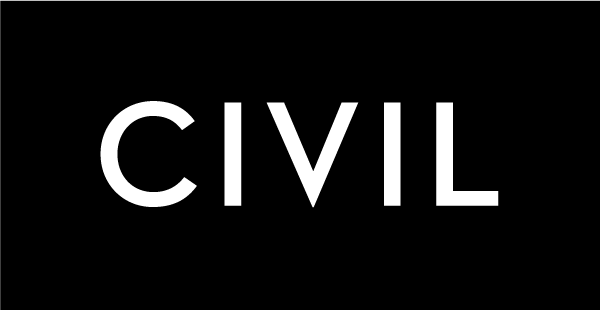 The original fund has been matched by sustainability partners Civil. Engaged journalism puts community engagement (geographical or topical) at the centre of its ownership, reporting, distribution, impact and revenue. €600k of grants for 10 - 15 organisations will support new revenue and sustainability and are focused on emerging media organisations with proven user loyalty. Two rounds of open calls start in October 2018 and February 2019 with a simple application process designed to attract a diverse range of applicants engaging a diverse range of audiences. All grantees get optional access to Civil technology, tokens, community and mentorship. Coaching for grantees and the wider community, open to any media organisation or journalist, will spread benefits beyond the grantees. A peer mentorship network for 100 people and newsroom partnerships connecting start-ups with legacy media will also be launched. 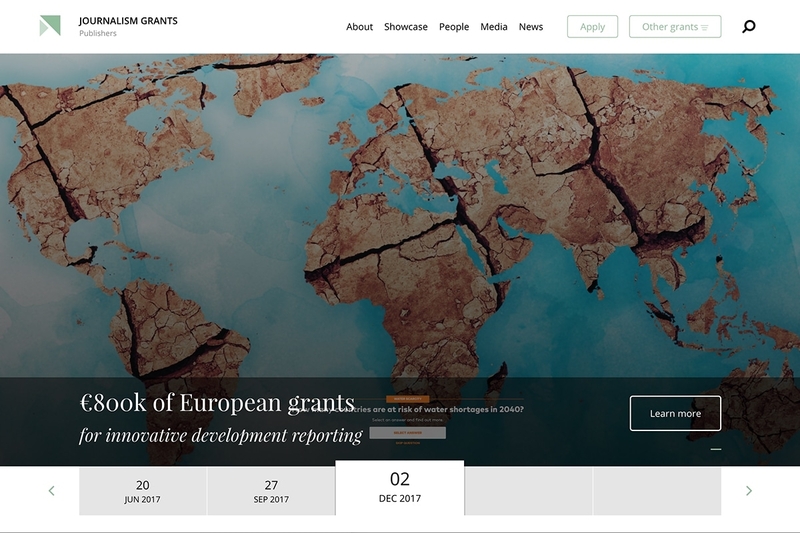 Resources for all newsrooms interested in new models of engagement and sustainability, plus 10 European events and meet-ups from the United Kingdom to Ukraine will help disseminate new ideas and strategies for sustainability.